A good nights sleep is something that is directly related to your quality of life. But for some people it’s harder to achieve than for others. Most people toss and turn at one point or another, especially during more stressful times. But for those with diabetes, getting a good rest during the whole night is a challenge that they need to adapt to every day. So, what to watch out for if you have problems sleeping, and how to get around high blood sugar at bedtime? Some people claim to have never had problems going to bed and waking up at the right hour. And for others, troubles in this area are very common. Many take it as a sign of their character and composition, but it’s not necessarily so. If you can’t fall asleep, toss and turn regularly, and / or wake up before it’s time, you should check if you’re in high risk of diabetes. Snoring loudly, apnea. This is not a sure sign, but if you have this, you’re in a high risk group. You regularly spend less than 6 hours a night sleeping. Whether it’s for work or because of stress, less than 6 hours puts you in a higher-risk position. You wake up at night craving for water or snacks. Of course, if it happens once a week, there’s no need to worry. But if it’s a regular phenomena you should visit your doctor. To put it simply, blood sugar and sleep problems might be connected, and if you have diabetes, they definitely are. While you’re sleeping, your body continues to perform many important functions. Normally, the body doesn’t need a lot of insulin while you’re not awake – so it doesn’t produce that much. And, while your insulin levels are low, just before the morning – around 3 a. m. and 8 a. m. – the body understands you’ll need to wake up soon, so it starts to release the glucose it has stored for the following day. Not only this – you get more gulcagon (a hormone that raises your blood sugar levels even more) and cortisol (a hormone that acts in the opposite way of insulin). People without diabetes just release some additional insulin during this period, but if you have diabetes and your blood sugar spikes at night, you wake up at 2 a. m. or 8 a. m., because it is off the roof. But what can you do to prevent this? A snack before bed. You might not be too eager, but a cracker with cheese before bed will keep your blood sugar steady during the night. Go to bed at regular hours. Easier said than done, but doctors recommend a thorough bed routine for people with diabetes (even more than for others). Your body adapts to the circumstances and learns to control your sugar levels. A light exercise after supper. Just walking a dog or some yoga is enough to make you go fall asleep faster. Check your blood glucose levels. It’s important to keep your eye on them regularly. If you’re going to bed, they should be in a range of 90-150 milligrams per deciliter. If you notice them varying too much, contacting your doctor is the best advice anyone can give. 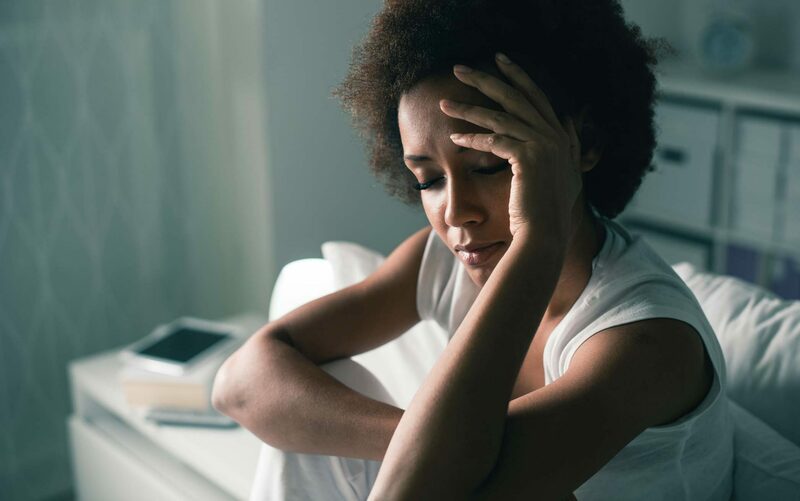 Not only high glucose levels can wake you up at night – sugar and sleeplessness might be connected in other ways. The exact opposite of diabetes, which can make your life difficult as well, is called hypoglycemia. It means having too little sugar in your blood, and if you don’t have enough of it… Well, your body just can’t work properly. You feel hungry, weak and dizzy, sometimes you might even experience cold waves and blurred vision. And if people close to you inform you about constantly tossing and turning or even sleepwalking (! ), you need to check you glucose levels. A snack before bed will be a short-term solution before you tackle it more seriously. Buffalo Hump? What Is It and How to Get Rid of It?